Shortly, you shall say a few words that will take you across a threshold of life. And things between you will never quite be the same. For after today, you shall say to the world, “this is my husband”, and “this is my wife”. Such beautiful words spoken to our lovely bride and groom, Amy and Brice! 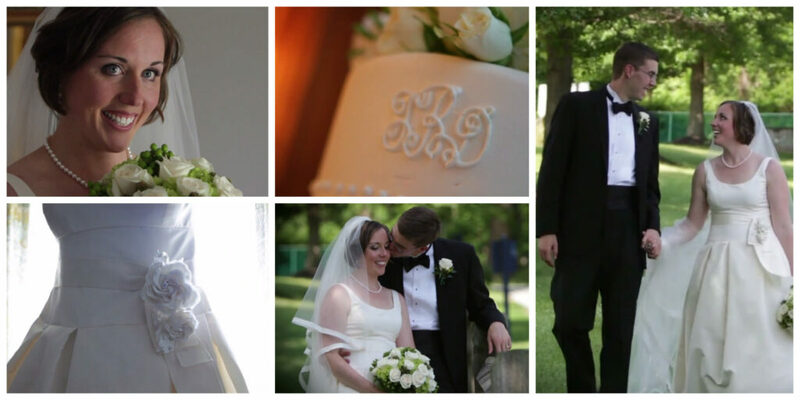 The Allure Films team was lucky enough to be a part of this special day in Newtown Square, PA. The weather was perfect, and the scenery at Aronimink Golf Club made a gorgeous backdrop. From the stunning décor, to all the finishing touches, Amy and Brice shared quite an amazing day. We were able to document many touching moments both before and after the ceremony. It was in these moments that we truly got a glimpse of the love shared between Amy and Brice. One of our favorite moments of the day was when Amy presented her dad with a heartfelt gift. It is something he will cherish for years to come. It was clear throughout the day how proud and excited both families were about Amy and Brice tying the knot. After the ceremony, Amy and Brice shared a fun-filled evening of dancing and dining. Jellyroll kept the dance floor packed as guests danced the night away. Our good friends at Philip Gabriel Photography were also capturing these beautiful moments in photos. We can’t wait to see them! Congrats Amy and Brice! All the best from the Allure Team. Click here to speak with an Allure Films representative about our comprehensive wedding videography packages. The sweet moments leading up to Terry and Daniel’s big day are unforgettable. It’s in those moments that you can see sheer bliss. As the bridesmaids helped prepare, and as Terry’s father sees her for the first time in her gown, we were thrilled to be a part of the excitement. This special day took place at St. Patrick’s and was followed by a reception at Aronimink Golf Club. It was a pleasure to be a part of this day and share these moments with Terry, Daniel, and their family and friends. Congratulations and best wishes from the Allure Films team! Is your wedding approaching? Contact Allure Films today for information on our videography packages!